For scientists developing life-saving medicines, knowing how cells interact and communicate with one another is an important part of the puzzle. The problem is, being able to see those interactions through a microscope hasn’t always been possible. But now, thanks to University of New Mexico Associate Professor Keith Lidke, a new technique has opened the door to allow researchers a better view of cellular interactions. The technique, published this year in Biomedical Optics Express, is called single objective light-sheet microscopy and improves on an existing method of fluorescence microscopy. 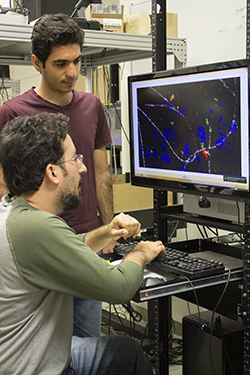 Graduate students Farzin Farman (sitting) & Mohammadreza Fazed (standing) looking at a super-resolution image of nanometer sized proteins inside a cell. According to Lidke, who works in UNM’s Department of Physics & Astronomy, traditional fluorescence microscopy techniques can only provide researchers a very limited view of the cells they’re looking at and exposes the sample to an abundance of light that degrades the image quality and leads to cell damage through photo-toxicity. A new approach to this technique, developed by Lidke, his research group and collaborators at Sandia National Laboratories, overcomes these prominent issues and allows light-sheet microscopy to be performed using common microscopes found in most cell biology laboratories. While Lidke’s technique is still in its early stages, he has already received a lot of interest from researchers at UNM and across the country because of the unique view the equipment can provide. According to Lidke, cells function through signaling pathways which are a series of protein-protein interactions. But, exactly how those interactions work isn’t clear due to a lack of technology available to see those events happen in living cells. Essentially, the technique has the ability to help answer questions about how cells communicate and work internally, making it possible for researchers to develop medicine or therapies that utilize these interactions. 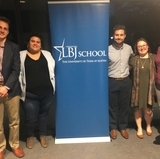 “Knowing that our work has a potentially valuable application really makes what we’re doing everyday feel extremely important,” Lidke said. 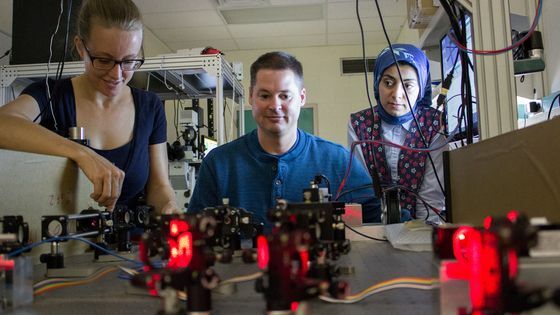 Associate Professor Keith Lidke (center) working at an optics table with post-doctoral student Marjolein Meddens (l.) and graduate student Hanieh Mazloom-Farsibaf (r.). The new technique is made possible through two different components; a specialized optics attachment that creates the light-sheet and a highly engineered microfluidics chip that holds the sample. Lidke’s group is responsible for creating the optics component which was developed as an attachment to most epi-fluorescent microscopes as a way to make the technique usable for a large audience. Collaborators at Sandia National Labs worked with the group to develop the microfluidics chip which has an integrated mirror in it that allows them to create the light-sheet using a single objective lens. Together, these two pieces give researchers the opportunity to see cellular interaction on an entirely new level. Right now, Lidke says he’s working with the team at Sandia to develop an improved, next-generation chip that he expects to be made commercially available to researchers. A digital rendering of what the future Physics & Astronomy and Interdisciplinary Science center might look like. As a physicist, Lidke and his research group don’t necessarily use the microscopes they develop to study a particular biological system. Instead, they create these techniques to allow other biological researchers the chance to apply them to their work. 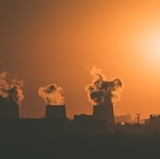 Naturally, this leads to interdisciplinary collaborations with scientists in a variety of fields to determine their needs and come up with methods to meet them. Because of that, Lidke says he is excited for the proposed Physics & Astronomy and Interdisciplinary Science (PAIS) facility and what it will mean for his work and collaborations. PAIS, a new state-of-the-art high-research center, will be constructed at the site of an existing City of Albuquerque water reservoir, just north of Central Ave. between Yale Blvd. and Cornell Dr. The 137,000 sq. foot facility will have research labs, classrooms, office space and modern infrastructure to support projects being done by Lidke and a variety of other scientists from several different disciplines across campus. Another big advantage, Lidke says, is what the new space will mean for training students at all levels. “My lab in PAIS will be used by undergraduates who are getting their first experience with research, as well as by graduate students and post-doctoral researchers who will develop next generation technology. They will get this experience in a state-of-the art facility,” he said. PAIS, which will cost more than $65-million, will be the largest building on main campus. 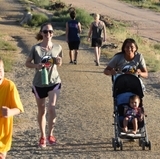 Right now, a portion of the money needed for the facility would come from bonds, with New Mexicans slated to vote on a General Obligation Bond C package on Nov. 8. With Bond C approval, the facility could be completed by 2019. 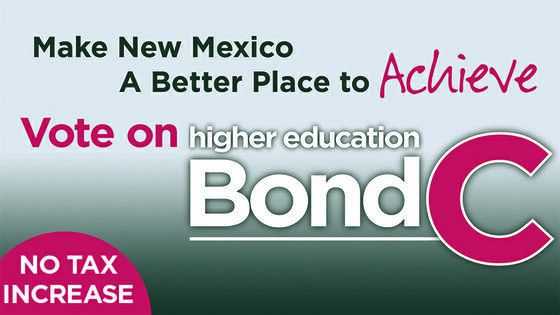 Along with funding projects on UNM’s main and branch campuses, Bond C will also provide millions of dollars for higher education institutions across the state, all without raising taxes. Additionally, the investment by voters will have a big impact on the state’s economy and is projected to create more than 1,300 new jobs – a huge boom to families across the state and researchers at the University.